***Tree: Creative Fantasy Home & Garden Demon Tree Sculpture. 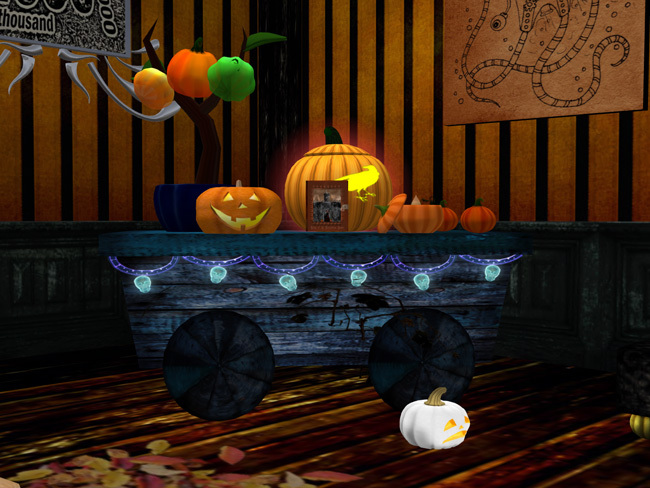 ***Top row of stuff (left to right): -CLEMATIS-6Prim, (iTuTu) Pumpkin Head, Glowing Raven Pumpkin by Luthien Unsung, Painted Lily Tales of the Pumpkins' Queen - Special Edition Hunt Item, -CLEMATIS-4Prim, -CLEMATIS-(nose). 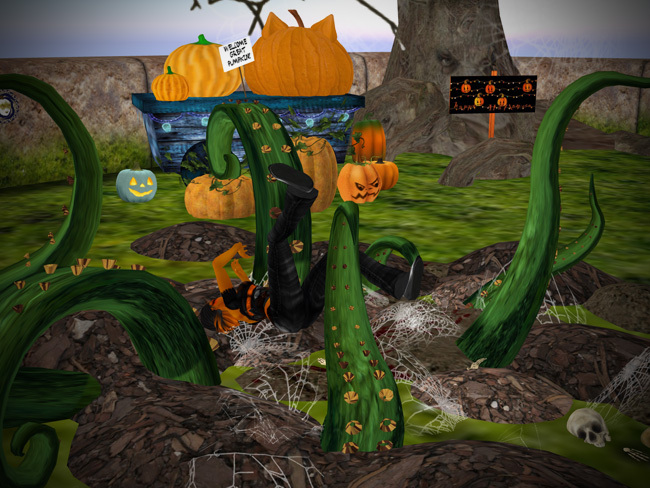 Click here for a detailed picture of the Pumpkin Queen book, it's a gorgeous item from Painted Lily. This one is a special edition with a clasp, but the normal editions (above) are still at the store.